Born in 1972, David Bwambale lives and works in the Rwenzori foothills. A talented wood-carver and sculptor, he is also Workshop Manager at Rwenzori Founders. 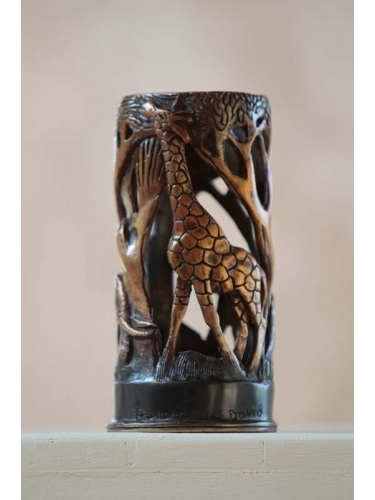 Following an intensive three-year apprenticeship at Pangolin Editions foundry in England, he was one of the team of three Ugandans who returned to set up Rwenzori Founders in 2008. His lively and well-observed compositions depict scenes of everyday life in Uganda and capture the spirit of its people and wildlife.